to define a "theme" - in this case: "Apache" - and it works pretty well. 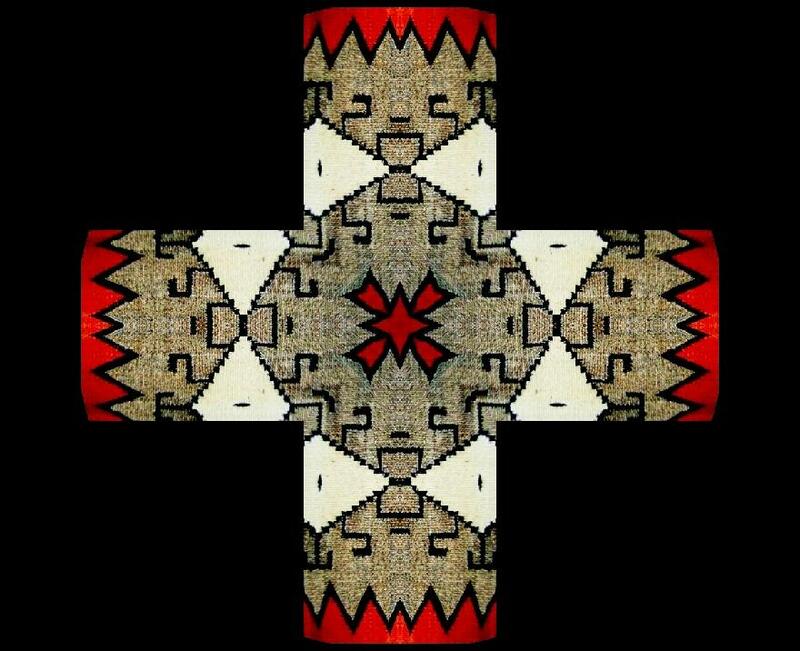 white artists dabbling in Native themes, but not trying to pass themselves off as Indian. released by Canyon Records in'02. Live at Billy Bob's Texas CD - Smith Music Group, '02. only two or three. The songs had a few words, but were not formal. instead of the usual tone sound. of our duties to each other and to Usen [God]. sixteenth century, has remained a name of terror down to our own day. 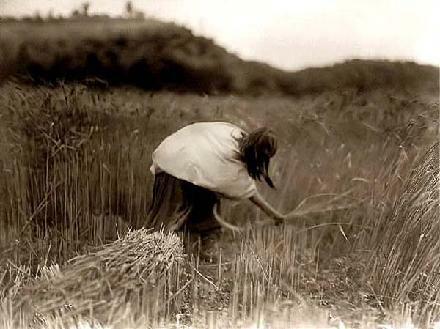 and in their ability and desire to assimilate civilized habits. 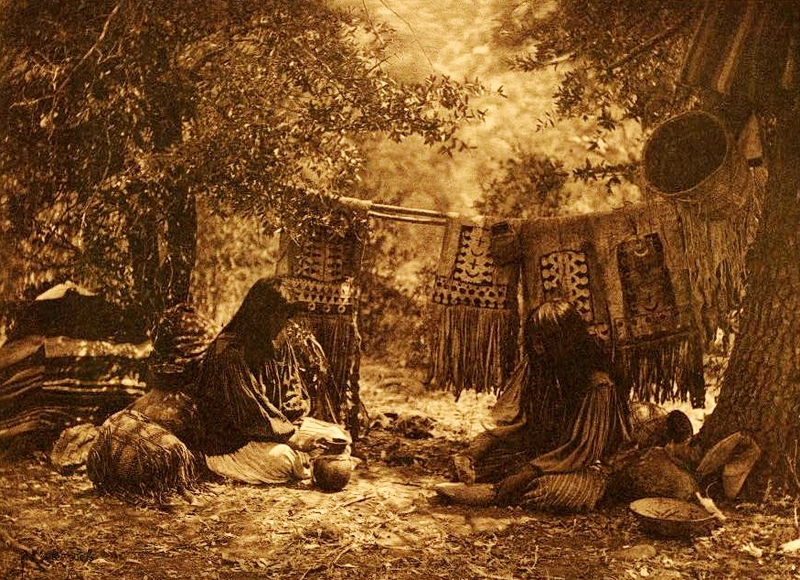 of exchange with other tribes for food, hides, and other items. upward-curving toe, often extended with long uppers to protect the legs. and their babies in icy mountain waters. 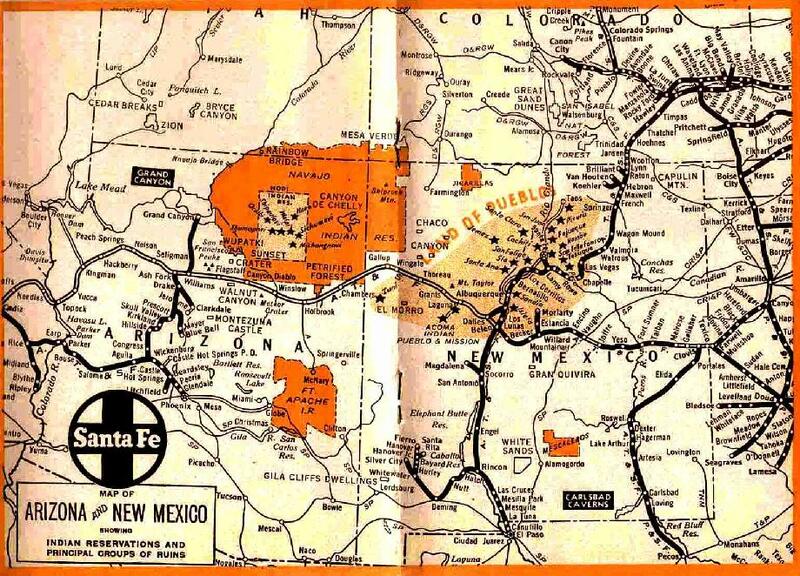 central and northern New Mexico. 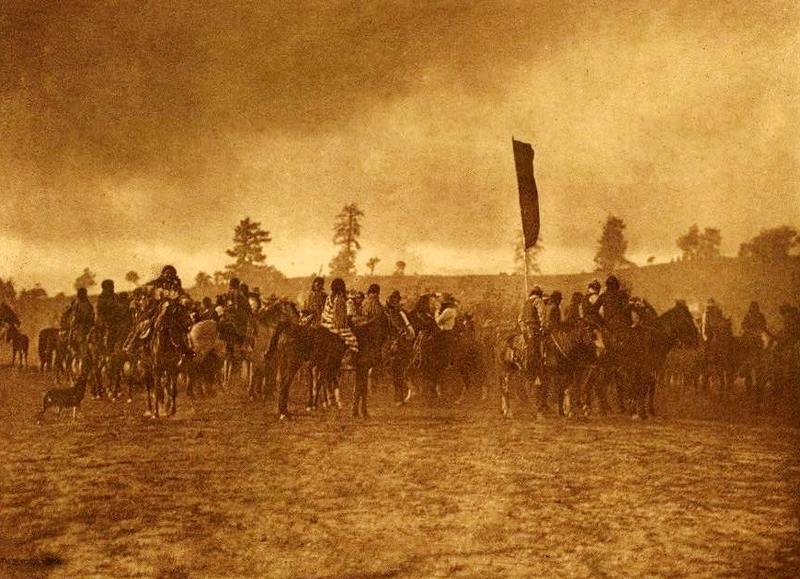 by Pullman-Standard were named after Native American chiefs. 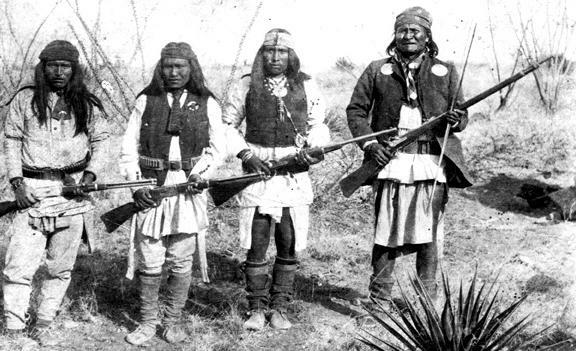 the names were chosen by Santa Fe. 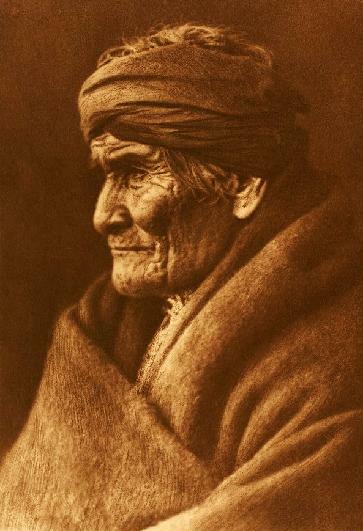 One of the well known chiefs was Geronimo or Goyathlay. 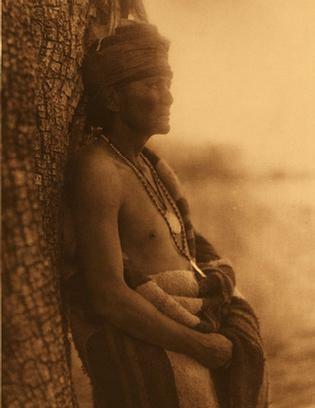 Apache and a member of the Nednhi band of the Chiricahua Apache. 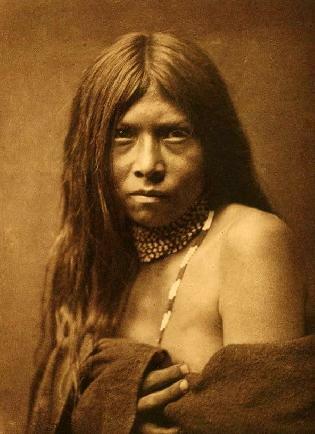 and held out the longest, he became the most famous Apache. then on, he waged war on Mexican settlements whenever he could. 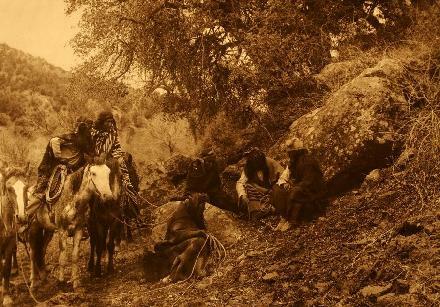 Geronimo fled to Mexico. 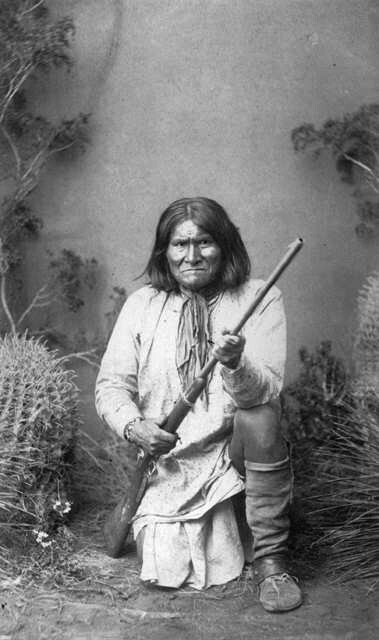 In 1882, Apache scouts working for the U.S.
Army found him but he escaped and wasn't found until 1886.
people surrendered in 1886, and were first transported to prison in Florida. where a quarter of them died of tuberculosis and other diseases. where he died in 1909.
a seer, a spiritual and intellectual leader. 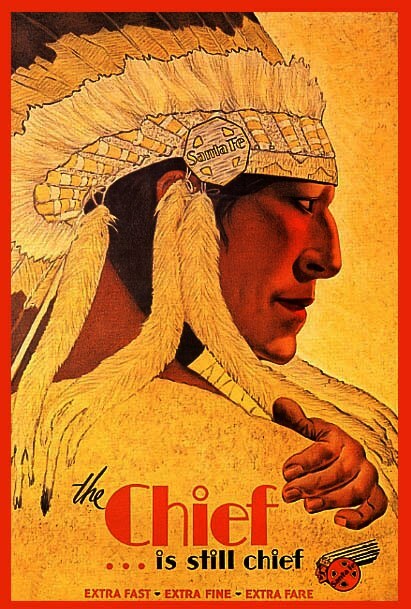 with brief bio info on the other chiefs whose names were on the cars. 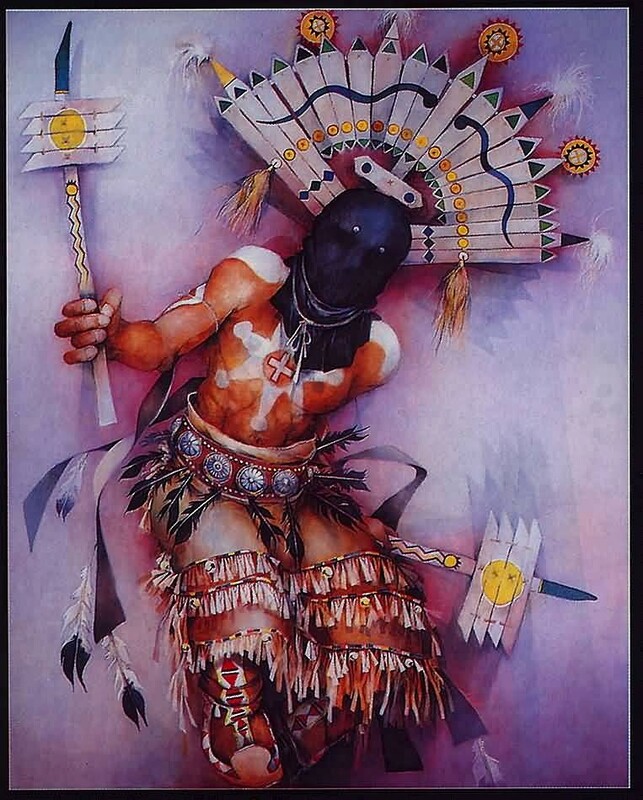 warriors, were also the epitome of loyalty and integrity to their own people. 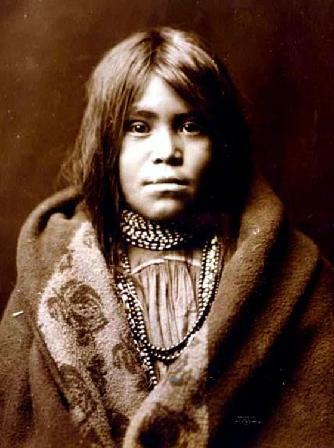 were much different than they are today. built in the same "batch," and is the only one of the "chief" cars still in existence. The names of the other two out of three not mentioned, I cannot find. The "Chief Manakaja" awaits restoration here at the San Diego Railway Museum. 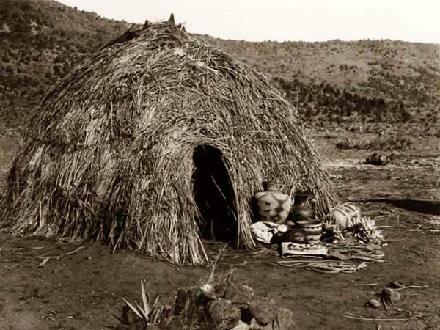 when the Grand Canyon National Monument was created. It's really just as amazing (if not more so) as the "Geronimno car" story. front offices of the Atchison, Topeka, and Santa Fe Railroad in 1927.
in the Santa Fe Village, are a segment of the only true American folk dances. ward off misfortunes, sickness, and disasters. a necessary part of the complete ritual. outside of the Pueblo building. 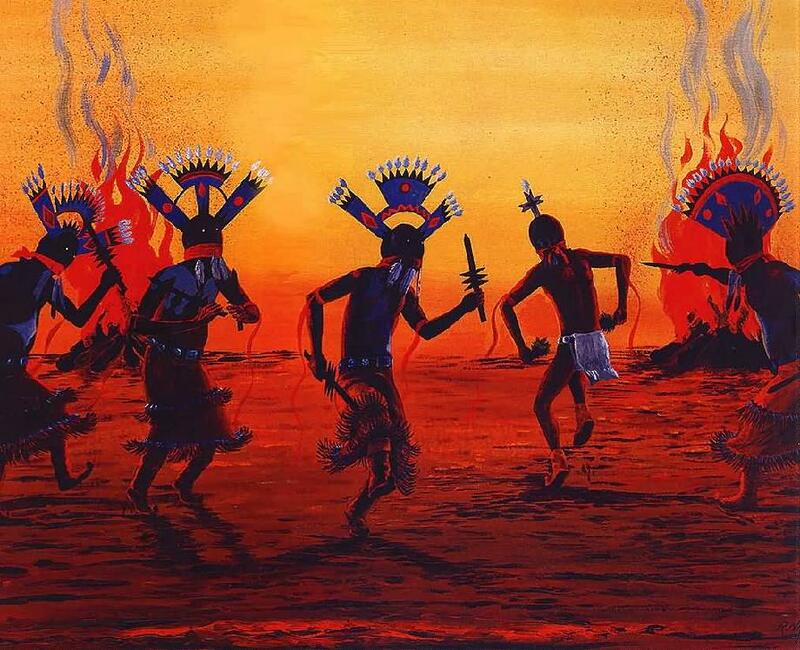 The Apache Crown Dance is known generally as the Devil Dance. 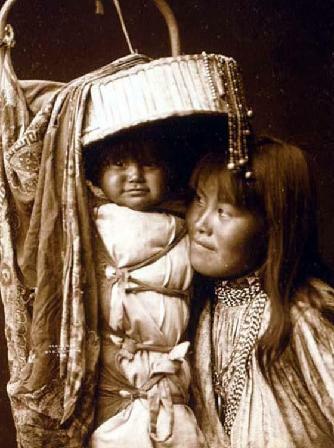 crowned messengers from the God of the mountains. 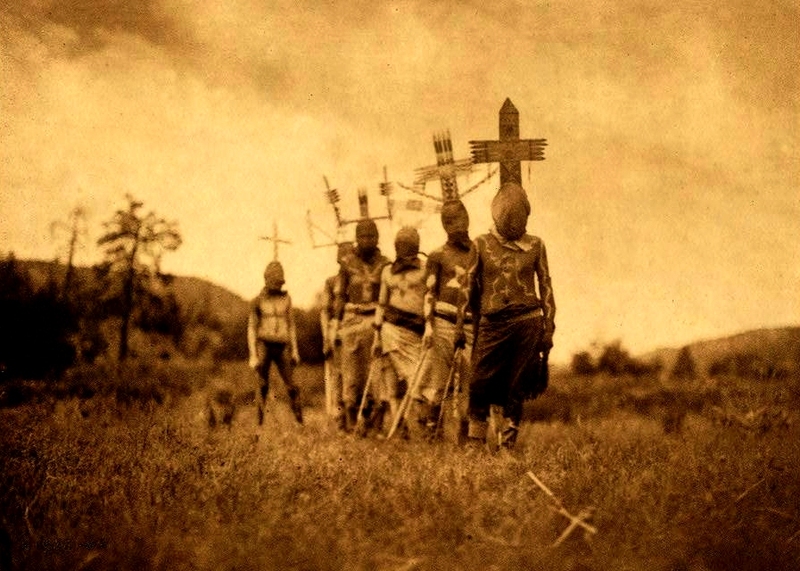 dancers are weirdly costumed in blacks masks and large crowns of varied shapes. vanish again to inaccessible recesses in the mountain. which was our next destination. We'll have more up about my friend down the line. him out further down the road. We'll explain it all when the time comes. 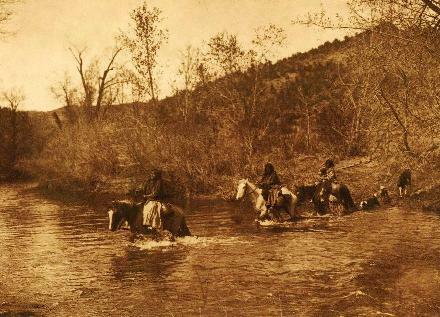 To go to Chapter 5, THE TRADING POST, click aqui. . .